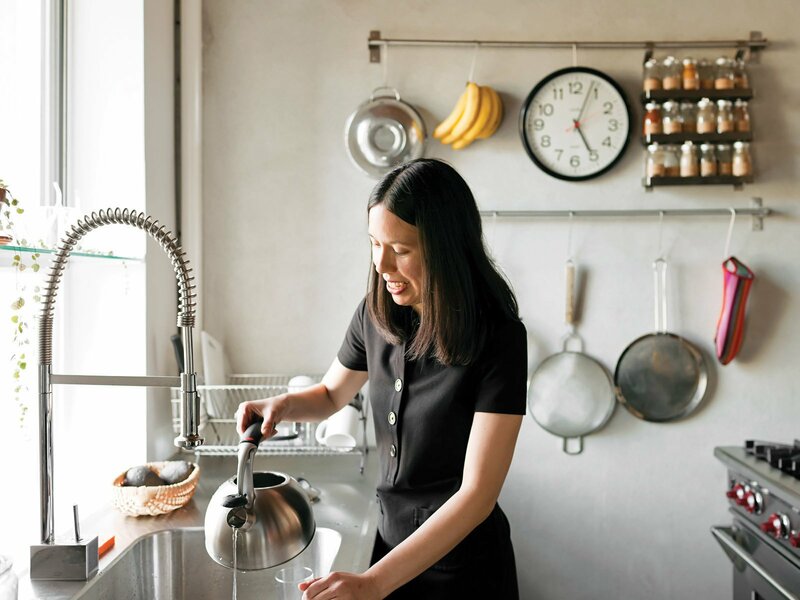 Sherman’s friend Anna Chang prepares tea in the kitchen. The range is by Wolf. Walls are coated with parging, a type of concrete made with sand instead of gravel—-more typically used in an industrial context.